CEDAR RAPIDS – Ed Thornton captured national attention in 2014 when he faced a trespassing violation for gardening two vacant city lots behind his home. 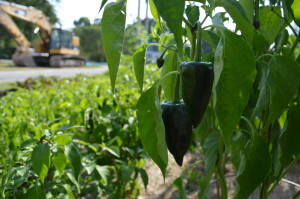 Now, more than four years after being ordered to remove the garden, which supplied his neighbors with a wide variety of fresh vegetables, Thornton will be putting his green thumb back into action. “I got my garden back,” Thornton announced Wednesday. Read about the initial complaint. 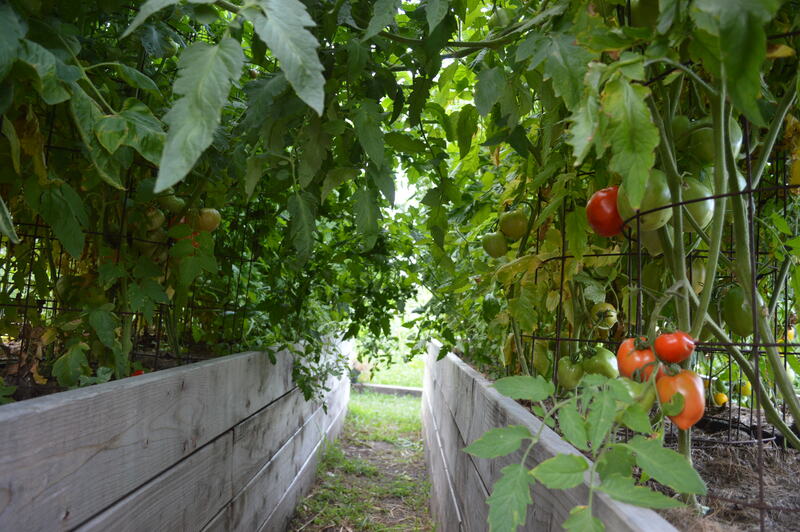 He and Matthew 25, a nonprofit that operates an urban farm in northwest Cedar Rapids, entered into an agreement with the city that allows Thornton to garden the vacant land under the group’s urban agriculture permit. Twedt-Ball said the agreement gives Thornton the authority to garden in the space as long as he keeps it well maintained. Thornton had been growing the garden four years on overgrown, city-owned property next to the apartment building where he lives at First Avenue and Sixth Street SW, when one person made a complaint. The city had demolished two duplexes on the site after purchasing the small lots with Community Development Block Grant funds after the 2008 flood. Using gardening skills his parents taught him, Thornton turned the weedy eyesore into an urban oasis, teeming with cucumbers, peppers, heirloom tomatoes, lettuce, beets and more. 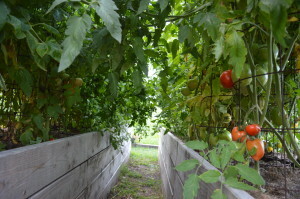 He gave away much of the produce to neighbors, who created a supportive community around the garden. “It became an actual neighborhood, because everybody knew each other’s name,” Thornton said. But because of the complaint – Thornton never was told who complained – a zoning inspector sent him a notice in July 2014, stating that if the garden was not removed by Aug. 6, the matter would be forwarded to the Cedar Rapids Police Department for further action. 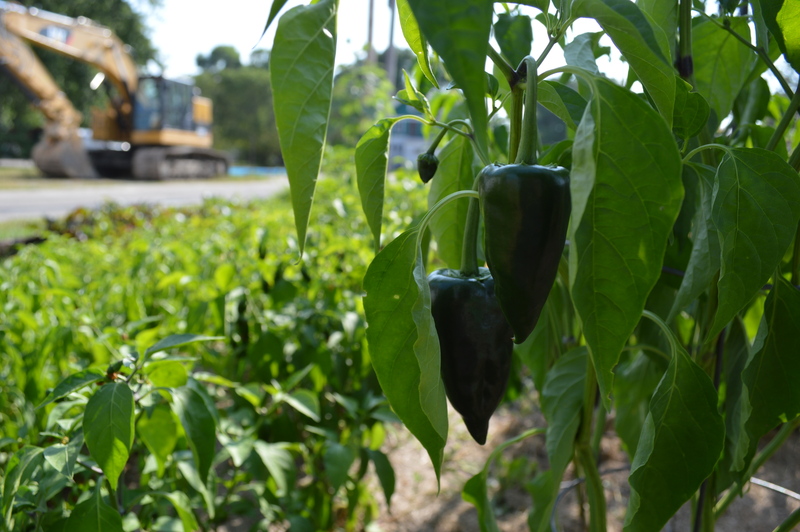 After public outcry, the city allowed him to keep the garden through the end of the 2014 growing season. City staff said at the time that the land had been identified for housing and that it would go to a developer in the near future. Jennifer Pratt, the city’s community development director, noted Wednesday that the lots were offered to developers under the city’s ROOT’s Program, started after the 2008 flood to rebuild affordable housing in Cedar Rapids. “However, the ROOT’s Program ended without a project identified on this particular lot,” Pratt said in an email. 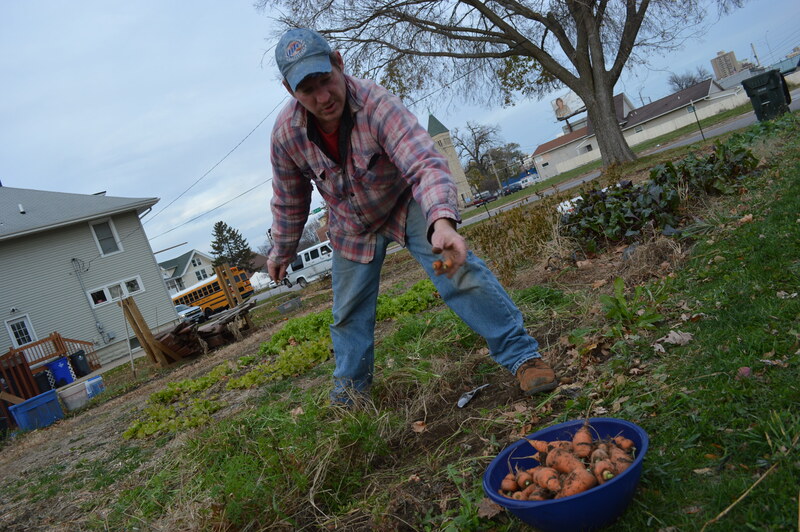 Thornton was invited to garden in 2015 at the Oakhill Community Garden in southeast Cedar Rapids. Still, he watched as the vacant lots next to his home became overgrown again last summer, leading him to post on Facebook about the grass, tall enough to hide a garbage can. City Council member Ashley Vanorny learned about the issue and met with Thornton and Twedt-Ball to see if an agreement could be reached, Thornton said, crediting Vanorny for coming up with the idea. He signed the memorandum Wednesday morning. Glad you\\\\\\\\\\\\\\\’ll be back at it Ed. I look forward to seeing your garden go back up. And of course the garden party is always fun too! This is great news, Ed puts alot of work and takes alot of pride in his garden. He will always take the time to give you some pointers and you will rarely walk away without some fresh vegetables.